Southeast Asia encompasses some incredible destinations. It’s got history, it’s got beaches, it’s got beautiful scenery and it’s got a wealth of unique, fun and fascinating activities that suit the tastes of a multitude of travellers. But above all it has culture, a culture that is far enough removed from our own that it opens up a whole new world of experiences. Whilst each nation has its own social customs and traditions, there are underlying rules that unite them. Following these rules not only shows respect for the local people whose country you are visiting, you will also earn their respect in return, leading to a far more genuine and authentic experience of the place you are exploring. You’ll immediately note the elegance of a greeting in Southeast Asia, a bow with a prayer-like hand gesture, and you’ll find it across much of the region. Called a ‘wai’ in Thailand, a ‘nop’ in Laos and a ‘sampeah’ in Cambodia, it is a sign of respect and greeting that originates from the Indian ‘anjali mudra’, and is a gesture that yogis will be familiar with. The higher the hands, and the deeper the bow, the more respect is being shown. As you explore the region you’ll find many people make this gesture to you, particularly staff in hotels and shops. You don’t need to return the greeting exactly, just a nod will be sufficient, but bear in mind that this small gesture perfectly sums up Southeast Asia’s social customs – respect and good manners. However you choose to deal with an issue in Southeast Asia, getting angry with someone is not going to get you anywhere! Asia as a whole works on the notion of ‘saving face’ when it comes to social interactions – basically you shouldn’t cause someone embarrassment or to lose dignity or reputation in front of other people. Shouting or arguing with a local in Asia will cause them to lose face and will make the situation worse. So, keep calm, be patient and be willing to compromise and you should be able to reach a resolution that keeps everybody happy, or at least keeps everyone’s face intact! In Eastern culture the head is considered sacred, so you should never touch someone on the head, not even children. The same applies to statues, particularly ones of Buddha. On the other hand, feet are considered unclean as they come into contact with the ground. You should never point the soles of your feet at person or at anything sacred, it’s like giving them the finger! If you sit in a temple, tuck your feet under yourself to avoid anything awkward. You should always remove your shoes when entering a temple, mosque or someone’s home – there’ll be a shoe rack or area for you to leave them. Across Southeast Asia local people dress conservatively and neatly. In some places many people still wear traditional garb – in Burma, for example, you’ll see both men and women wearing ‘longyi’, a cylindrical shaped sarong. When it comes to what clothes to wear on your trip to Southeast Asia, follow the lead of the locals. Wear trousers and shorts or skirts that reach the knee and tops that cover the shoulders. If you feel you can’t do this, at the very least make sure that you carry something to cover up your legs and shoulders when visiting temples and other holy places. In fact, at some mosques and temples you may be provided with a sarong, robes and a head covering before you are allowed to enter (sometimes for a small fee). Clothes that are figure-hugging are frowned upon generally but particularly in countries such as Malaysia, where Islamic traditions suffuse with local customs. Dressing neatly will also help you gain the respect of the locals – they won’t understand why (what they consider) rich foreigners would want to dress in ripped t-shirts or tiny shorts. In Southeast Asia, places of worship tend to also be the big tourist sights, so you are going to be visiting a few of them! As mentioned in the sections above – dress modestly, covering your shoulders and your legs, remove your shoes before entering and don’t point the soles of your feet at worshippers or sacred objects. When visiting a Buddhist temple, never touch or climb on a Buddha and never pose for a picture with a Buddha – these things are all considered highly disrespectful. You should also back away from a Buddha before turning your back. If you get the opportunity, when you’re wandering the precincts of one of Luang Prabang’s many temples for example, have a chat with a monk. Bear in mind though that women should not touch a monk or hand anything directly to a monk. 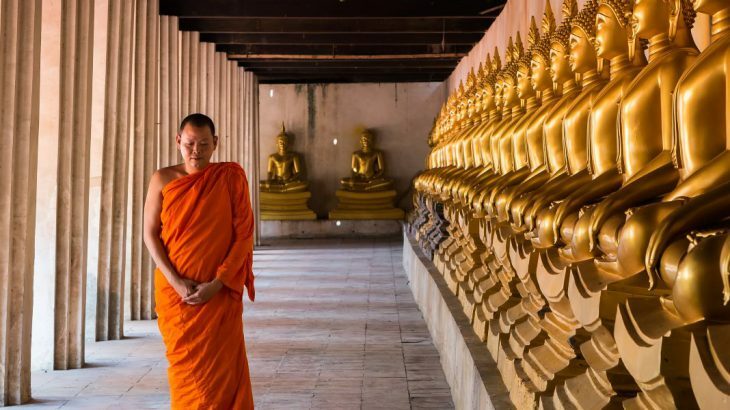 In Buddhist temples in Burma there are areas that are for men only, whilst in mosques, non-Muslims are not allowed in certain areas, so watch where you wander! 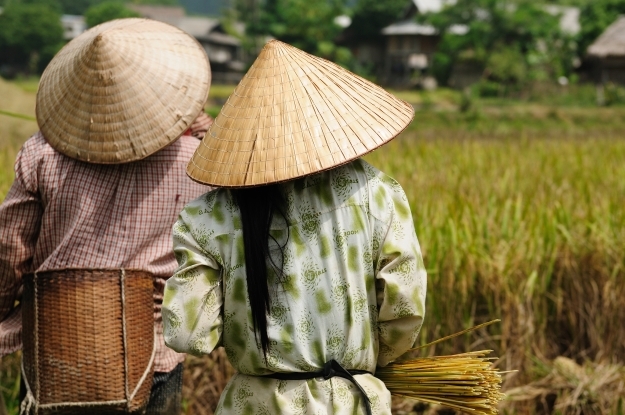 Book an escorted tour of Southeast Asia with the UK’s leading Asia Experts, Wendy Wu Tours. Our fully inclusive tours visit all the major sights for an unforgettable holiday. 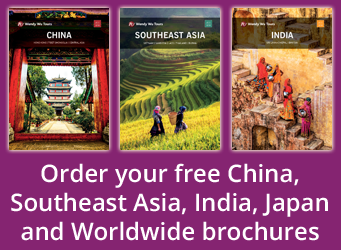 Burma, Cambodia, Laos, Thailand, Vietnam culture, experience, explore, local customs, wendy wu tours. permalink.